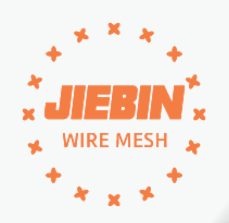 Jiebin is a professional Welded Wire Mesh, Welded Wire Mesh Panel, Welded Mesh Fence Panels manufacturer since 2002. And we export by ourselves since 2008. We offering more than 35 countries with Wire Mesh Panels products. We keep providing good quality at an optimal price for long-term development. Usage: Welded Mesh Panels are mainly used as supermarket shelves, seedling bed net, security fencing. Black Steel Welded Mesh always be used in general building external wall, concrete, high-rise residential and so on. In the structure of heat preservation system it also plays an important role. Features of Black Steel Welded Wire: simple structure, fast production, beautiful and practical, convenient for transportation, etc. Looking for ideal Black Steel Welded Wire Manufacturer & supplier ? We have a wide selection at great prices to help you get creative. All the Black Steel Welded Mesh are quality guaranteed. We are China Origin Factory of Black Steel Welded Wire Fence. If you have any question, please feel free to contact us.